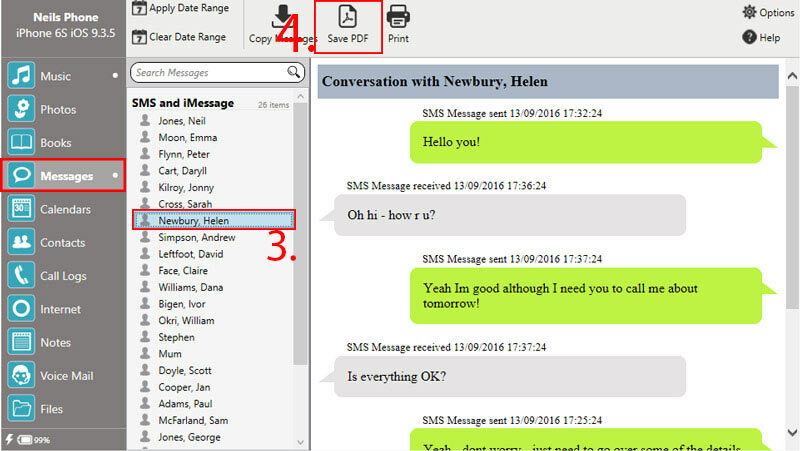 This article guides you in how to save iPhone messages in PDF format. Visit our Droid Transfer page if you need to save Android messages in PDF format. Step 2: Run TouchCopy 16 and connect your iPhone. Step 4: Press "Save as PDF" and select a location on your PC or Mac for your messages to be stored in.